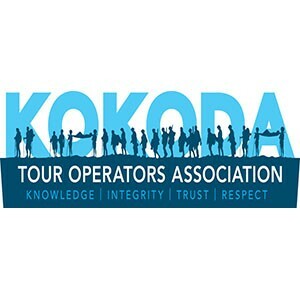 I had been wanting to do the Kokoda track for a long time as my Grandfather had fought there during World War two, when I finally decided that this was the year I started researching companies to go with, I came across Escape Trekking Adventures and I was impressed by the information on the website and the range of treks offered so I emailed Shane for more details. From the first contact he was friendly, informative and helpful and that continued throughout the entire trek. Shane’s knowledge and his own passion for this important piece of Australian history enhanced the experience and furthermore his relationship with the Papua New Guineans allowed for an insight into the culture and village life that lines the track. The local guides and porters that Shane works with go above and beyond to make your journey as smooth as possible and the fun and laughter they exhibit is much welcomed after a long days hike. The trek helped me to reconnect with the memory of my Grandfather and to have a better understanding of the campaign our Australian diggers fought. If you have ever thought about taking on the challenge of the Kokoda track I highly recommend you take the plunge with Escape Trekking Adventures I can not fault their service, a truly memorable experience. I have for as long as I can remember wanted to walk the Kokoda trail, but like many other things in life just simply got in the way. Now that my vintage as begun to ripen I have decided to complete the goals I've had in life before it becomes too late. I loved everything about the tour, the kids, the schools, the porters and the relaying of Australian and Papua New Guinea's history from a dark period in mankinds epic drama. I simply would trust our Australian guides Shane & Vanessa with my life shows you the level of confidence I had in these people along with my porter David who was also aided by Ruban not only helped me be spurred along but more importantly shared the jokes, singing and dancing with me. My next goal is to tackle MT Kilimanjaro with these guy's so look out Africa. I would not only encourage anyone to walk the Kokoda trail but to look up Escape Trekking Adventures to manage your tour for you. I have just come back from walking the Track 22nd April to 2nd May with Shane and 5 others and it was an incredible experience. Walking from Kokoda to Owers Corner made more sense historically when explaining the battle routes as the Australian forces were under constant pressure from the Japanese and having seen the ups and downs of the hills going this way gives you a day or so to acclimatise before hitting Brigade Hill and The Wall. We passed several bigger groups during the trek and I was very glad Shane has chosen to keep his groups small. In a group of 30 to 40 you are just a number, you get spread out every day and water crossings can take ages if you want to do it safely and we saw some unsafe practices from other groups which could of easily ended with a helicopter ride home. If you want the Contiki Experience by all means go with a big group or if you feel the need to drink at a famous War Memorial then go big. Shane is unsurpassed with his knowledge of the Trail and is constantly in touch with historians who are still discovering new facts about Kokoda. Shane has a great repour with both the Land Owners who we passed through and has given back to the communities in more ways other than just paying the fees. This also transfers to his Porters who are fantastic. Having taken time to learn their dialects and join in singing in their native tongue, he truly treats them like family and not a number. The food was great with Shane having conducting cooking classes for his staff and insisting on a very high standard of hygiene. With dried meat sourced from Australia, I don’t think we had any tinned meat for the 10 days. Dessert every night and even freshly cooked donuts,popcorn for morning tea! Take the time to speak with Shane before deciding who to go with and it will be well worth the time. Shane, see you next May for the Beaches Tour! Well, where do I start? I always said to myself that one day I was going to do the Kokoda Trail and what better incentive to do it just before my 50th birthday. So I contacted 4 or 5 different trekking companies and after receiving replies from most of them, one company really stood out from the rest. Escape Trekking Adventures. Shane and Tina Goodwin responded every enquiry, from day one, swiftly and with all the information required in order to make the Kokoda trek an unforgettable experience. Our T11 group included 2 guys from VIC, a father and two of his sons from SA and we were 5 from WA(friends and family). There would have been an extra 2 people from WA but has to cancel their trip a couple of weeks before the start because of health reasons. After leaving Perth on the 17th of October and arriving in Port Moresby the following morning, we were met and welcomed at the airport by Tracy who took us to the Ela Beach Hotel for checking in. That’s where we met Shane in person for the first time and that afternoon, the whole group met for the first time at the trek briefing. During the next 9-10 days, the group bonded as if we knew each other for ages. We all worked together, helped each other in tough times and heaps of laughs in between. Villages that we walked through or stopped were Hoi, Isurava, Alola, Camp 1900, Naduri, Efogi, Menari, Lemagi, New Nauro, Ioribaiwa. Battle sites were very emotional places as many Australians lost their lives in order to defend our country. Isurava, Con’s rock, Brigade Hill, Ioribaiwa ridge all hold dear places in our hearts. River crossings were all welcomed refreshing spots to cool down and camped some nights near them to offer a nice way to collect water and to clean ourselves. Eora creek, Brown river, Naoro river, Ofi creek, Camp Goodwater, and Ua-Ule creek ( which we crossed 22 times) were notable mentions. At the end of our trip we stopped at the Bomana cemetery. Such a beautifully maintained site, where lies over 3500 headstones of fallen soldiers. All in all the Kokoda trek is a great experience and highly recommended. As mentioned before, Escape Trekking Adventures is the trekking company for you. Everything fell into places with no hiccups at all. Our group and personal porters, trek guides and trek leaders were fantastic. These men will do anything for you. Loved them to bits. Shane’s bond with the Papua New Guineas locals were so pleasing to see. He also donates schools equipment, so that the kids can learn their subjects a lot easier. As soon as they saw us coming, they welcomed us in their villages with open arms and kids played around us and even gave us sing sings at night. It was so great to see smiles all around. Our food menu was fabulous. Breakfasts, morning teas, lunches and dinners were all provided, from pancakes to pastas and hearty dinners, not once our group complained. We even had desserts most nights!!!! Vegetables and fruits were freshly hand picked daily. Shane’s knowledge and passion of the track’s history was so overwhelming. He knew all the details in depth and told them with so much pride that gave us some tears in our eyes. Thank you Shane for making this trip an unforgettable experience and looking forward to many more adventures together. Also a special mention goes to Ela Beach Hotel. They opened the bar for us when we got back from our trek so we could enjoy our first beer in many days!!! Also our pre and post nights were fantastic. From their well equipped room, great menu and staff, our stay was very enjoyable. I completed the Kokoda Track in August 2015. This trek exceeded all expectations. Shane, Tina, Helen and their team of porters were well organised, very professional and friendly. Shane’s knowledge of the battles on the Kokoda Track was comprehensive and the memorial services were very moving. The food was excellent, as was the equipment provided. Shane has a wonderful rapport with the local porters. I would highly recommend this trek to all. Waking the Kokoda Track is going to be challenging, and emotional, and a bit scary, so it’s important to choose a company that is there to support you every step of the way (pun intended). I chose Escape Trekking Adventures, which was definitely the best decision. I walked the ANZAC Day trek in April of 2015, in the ridiculous mud and pouring rain. We started at Owers Corner and finished in Kokoda. Escape Trekking were extremely helpful during the initial enquiry stage, and were always there to assist during the preparation. They are very professional and extremely knowledgable. They provided heaps of information about the history of the trek, how to prepare and train, what to bring and even how to pack. We were given a detailed itinerary and lots of tips that were beyond helpful. I had never taken on anything like Kokoda before, but I knew exactly what to expect and felt very prepared and ready. Arriving in Papua New Guinea, we were greeted by friendly Escape Trekking Adventures staff and were taken to our very comfortable hotel. Here, we met our trekking group and guide, Shane. One of the main positives for Escape Trekking is the small group sizes. There were 10 of us Trekkers, plus our personal and general porters. This small size meant that each Trekker felt extremely supported and cared for. We passed other companies that had 40 Trekkers (plus all their porters!). Think of how much personal care each one of them got (not much, probably) compared to the support I received, with only 9 others around as opposed to 39 others!! We really bonded as a group, and were able to help each other along the way. It was incredible to walk through the arch at the end altogether; it’s as much a group journey as it is a personal one. Shane was an excellent guide. The trek was around ANZAC Day and had a history focus, and Shane was very knowledgeable and passionate, and really brought the past to life. He made sure to check in on all of us all the time, and was so helpful in our times of need. I struggled a little at the beginning, and he really put me at ease. The porters – WOW they are incredible!! DEFINITELY get a personal porter. They are there to make sure you get to the finish line, and make everything so much easier, from carrying most of your things and making sure you don’t fall on the slippery ground or into the water during river crossings, to setting up your tent at night and dragging you up the side of the mountain if your legs gave up; they are amazing and always so cheerful!!! I had AJ, who is a star!! The porters (who are local to PNG) often sang songs together while we were walking and in the camps, which was magical, and really enhanced the whole experience. A lot of people ask me about what the food was like, and it was one of the things that surprised me the most! It was amazing!! We had several courses each mealtime packed full of everything we needed to sustain ourselves, and it was delicious; nothing like the school camp food I was expecting! We even had birthday cake made over the fire!! The guides made sure we had enough food, and reminded us to take our tablets and hydrolyte and purify our water. ANZAC Day itself was so magical! We had a beautiful, intimate dawn service, which was a real highlight; very special. All in all, the small group sizes and the amazing, knowledgeable, and supportive guides and porters made such a tough journey a really memorable, magical experience that I will never, ever forget! If you want to walk the Kokoda Track, Escape Trekking Adventures is the one! My wife and I trekked the kokoda trail in Aug 2014 with five other Australians plus our Australian lead guide from Escape Trekking Adventures. I agree with the recent comments made by people who have also used Escape Trekking including the professionalism of Shane and the lead guide Nathaniel. I will add several additional general comments about our experience. I would recommend no more than 15 other trekkers in your group, as I mentioned we had five other Aussie and that number was suitable. We trekked from Kokoda to Owers with the last five days being the most difficult terrain of the trek which included several long steep down hills causing foot, ankle and knee joint pain for most of the group including myself. Escape Trekking use a suitable number of professional porters who live in different districts along the track which facilitates a safer trek. Their duties include, setting up your tent upon arrival into the village, drying your clothes by the fire, preparing all your meal and most importantly holding onto you or your pack just prior to slipping over usually whilst descending down one of the many steep hills. A great experience, a great crew of porters and trekkers and I highly recommend Escape Trekking. His enthusiasm for the Track’s military history added much to our experience. Always interested in the Kokoda story, I finally had the opportunity to walk the Kokoda trek in August 2013. Following recommendations from friends and family who had trekked with Escape Trekking Adventures (ETA) I sign up and started my 12 weeks training. I read heavily into the war stories and records to fully understand the history of the Kokoda campaign. This is a must for any one planning to trek the area as it is only knowing this history, in some detail, that you truly appreciate the significance of the each of the sites and battle fields as you are trekking through them. The impact is magnified knowing the history. I joined a group of 9 strangers for the August (2013) trek, and over the next 9 days we formed a comradery that will last a lifetime. The trek was physically hard and mentally exhausting. We each learnt that that we can endure more and push ourselves further then we expected possible. Training hard (step climbing especially) is very important. I was average condition, and found a 12 week training program enough. Escape Trekking Adventures was fantastic. The planning, the crew, the detailed history explanations along the way, and the professional organising of our trek was “second to non”. Team Leader Shane lifted our spirits when needed, supported us when needed and laughed and cried with us along the way. Escape Trekking Adventures – highly recommended.